A brilliant web design sets the stage for your excited prospects to reach out and grab you in every way that they can. Haven’t you ever had that moment when you knew you were in the right place? Give that same sensation to your customers, while simultaneously providing all the vital information (and tools) they need to solve their problems through you and your business. After all, problem solving is the core of what every business is about, and putting together a crystal clear offer in an unmistakeable (and highly attractive) digital “packaging” is what will separate you from all the noise in your industry. You’ll be the obvious choice and so easy to buy from! That’s a real superpower of good web design. I know it should seem like things that are effortless to use should also be a snap to design and build. Unfortunately the reverse is actually true – it takes a lot of experience, drawing board time, and creativity to produce all of these products that we can rip out of the box and use without even unpacking the manual. Since we’re talking about bringing amazing things to market, there’s an element of confidence in there as well. Do you remember when we all poo-pooed the iPad? It certainly wasn’t the first tablet that came to market, and it had a funny name. Jokes were made. Visions of imminent failure were proclaimed. But Apple had a ton of confidence, released their highly optimized tablet computer, and here we are today. Web design follows this rule as well. To create real magic on a single piece of screen real estate – to create something that is understandable from a cold open, intriguing, explanatory, and also happens to personify your brand exactly…. Well, that’s some magic in a box right there! Your website designer should probably be a genius. Or at least a sharp cookie with a penchant for learning about user interfaces, human behavior, and optimization. This is easily tested, just talk with them for a couple of minutes and ask them to explain something about your website or another you have seen. We are trained AND experienced in the language of the visual, so we can answer these questions and possibly even go on interminably if you let us. At the unshakeable core of a wonderful website design is the bare bones skeleton that is your brand and everything it represents. No matter how fancy and elastic the interface is, if the mark has been missed on personifying your company, it’s a fail. What are the ideas and concepts you want people to know and believe about your business? In the steps of a proper design and development build this is going to be put on paper early and in great detail. We need to all be on the same page about the exact brand experience your prospects should be getting. A brand is one of your greatest intangible assets. Your website not only reinforces this brand but defines it further, through pages of information, interactivity, and multimedia. Is your company the Tried and True Gold Standard of your industry, or the Hot New Solution, or the Fast and Efficient Solver of ___ Problem? Do your customers insist on quality, or speed of service, or a degree of expertise that is second to none? These are all separate directions your branding might pursue. Is your website’s design promoting you in high fidelity? Are you being painted in the correct light? In the universal language of layout and line, there are many mistakes that an experienced designer will save you from. Eye tracking, for example, is well documented in a Z pattern. You can take advantage of our natural inclinations and make an intuitive experience, at least for everyone who reads left to right. Don’t break web design convention for the sake of being different when it will actively work against you! We also have the underlying bones of a website’s layout to consider. If you create a “tic tac toe board” or grid of sorts over a good design or an image that you like, very often you will find that the entire composition has been master planned around a system of columns. 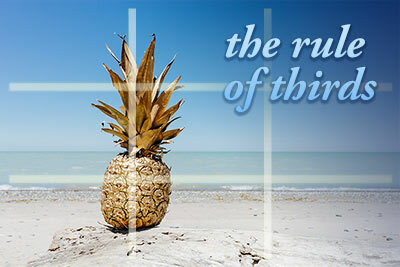 Photography commonly uses the “rule of thirds” for single images, but a website design might use a base grid of twelve or sixteen. A good designer knows how to give emphasis, provide structure, and keep these systems going so that the whole page feels effortless. These little invisible rules (and there are many of them) are why professional design is just so darn appealing. Your own industry undoubtedly has all kinds of similar rules and tricks that all experts must know. Web design is just like that, and the very best designers are masters of putting just the right things and no more onto the page. Responsive design isn’t just the hot new trend anymore, it’s the standard. 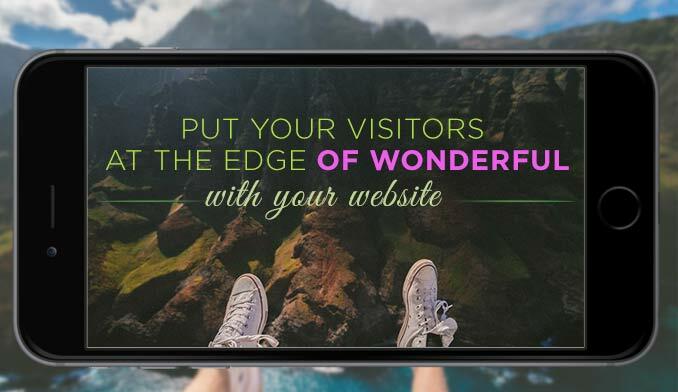 Half of all our web traffic these days is by smartphone – so your website better look good there! A big part of assessing a website’s interface then is checking whether it looks good on mobile and across a variety of screen sizes. Does it work and look good, or does it break and render poorly? In addition to being like Elastigirl from the Incredibles (whose superhero strength is to stretch and reshape her body at will) you also want your content to be highly accessible to users who have disabilities and special circumstances. This can be someone who sets their font size very large all the way up to a person with a screen reader. Sometimes these browsing experiences will stray from the carefully crafted experience that the average user gets. That’s totally okay. If a person can only browse our website in black and white 30pt Times New Roman type, we’d much rather have them on page than lose them. Responsive design is the answer here. As a web designer for hire I would be delighted to talk with you about hitting all your goals on a new website project, or perhaps you’d just like to get an evaluation of your current site. Get in touch for a free no-strings-attached consultation and let’s move some mountains. We’ll bust through any business design blocks that you have, and set you up with a plan to knock this project out of the park. Lauren Grey is a website redesigning machine (figuratively!) with a little bit of sass and a lot of enthusiasm for her clients and their results. She would be delighted to consult with you about your website and redesigning it. Ms Grey offers free consultations by phone and email, click here to request one and give a URL if you already have a site up and running.